With over 30 years of experience, Ted has worked on a wide variety of environmental and litigation cases across Wisconsin. From the early years of Superfund litigation on sites like the Fadrowski Drum Disposal Site in Franklin, Wisconsin and the Moss-American Site in Milwaukee, Ted has been immersed in both the legal and technical aspects of environmental law. Ted’s litigation practice has grown to include environmental nuisance claims and toxic tort litigation, contract and property disputes, construction defects, insurance coverage litigation and enforcement actions. From Kenosha to Minocqua and from Lafayette County to Florence County, Ted has crisscrossed Wisconsin representing both plaintiffs and defendants. He represents individuals, community groups, local and tribal governments, small business, utilities and large corporations. This breadth of experience helps Ted prepare his clients for what they can reasonably expect in litigation by looking at the case from the other side’s point of view. In addition to his litigation practice, Ted also works very closely with the firm’s real estate and development lawyers handling due diligence investigations and environmental permitting. His experience includes addressing real estate deals that involve brownfield issues, where the risk of liability for historical contamination is a major consideration. 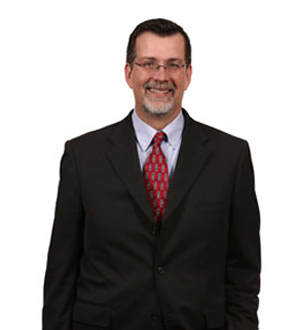 Ted’s experience allows him to assist the Davis|Kuelthau team with understanding and managing these risks. He also been involved in numerous development projects where there may be a need for wetland or other permits, and has found that his ability to work with experts has notably helped clients move these projects to a successful conclusion.